at 9:15 am. A schedule of services is posted on the front door of the church. 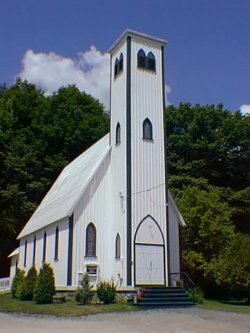 Holy Trinity in South Bolton and St. Paul's in Mansonville. Assisting clergy in the parish include the Rev. Mark Gudwin and Archdeacon Stuart Martin. The church is located on route #245 in the town of Bolton Centre, right beside the town hall. You are most welcome to join us for Sunday worship.